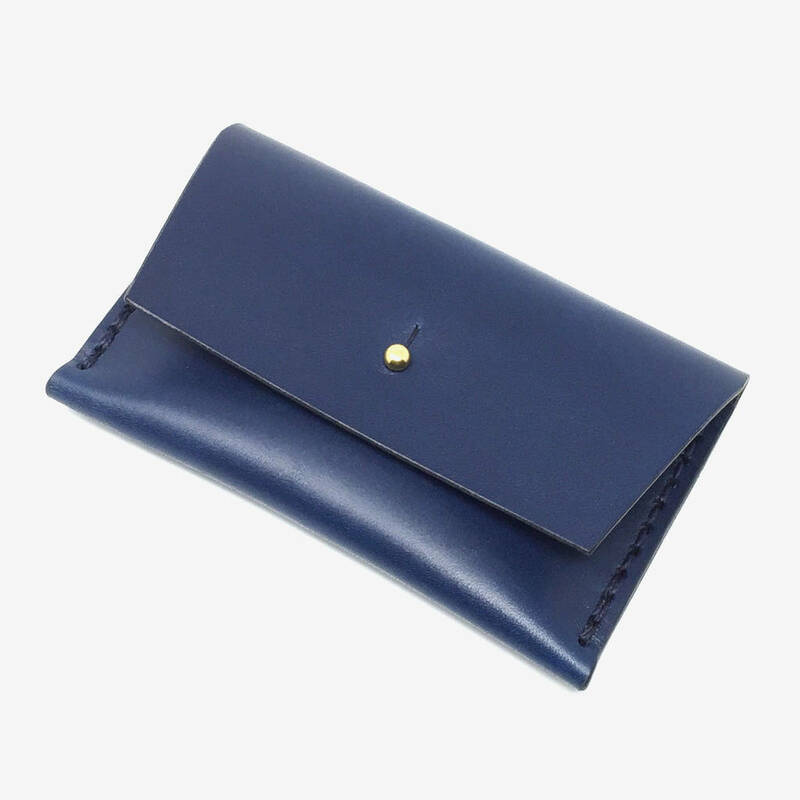 A beautiful, personalised handmade leather purse designed to hold your daily essentials when you don't want to carry your main purse. 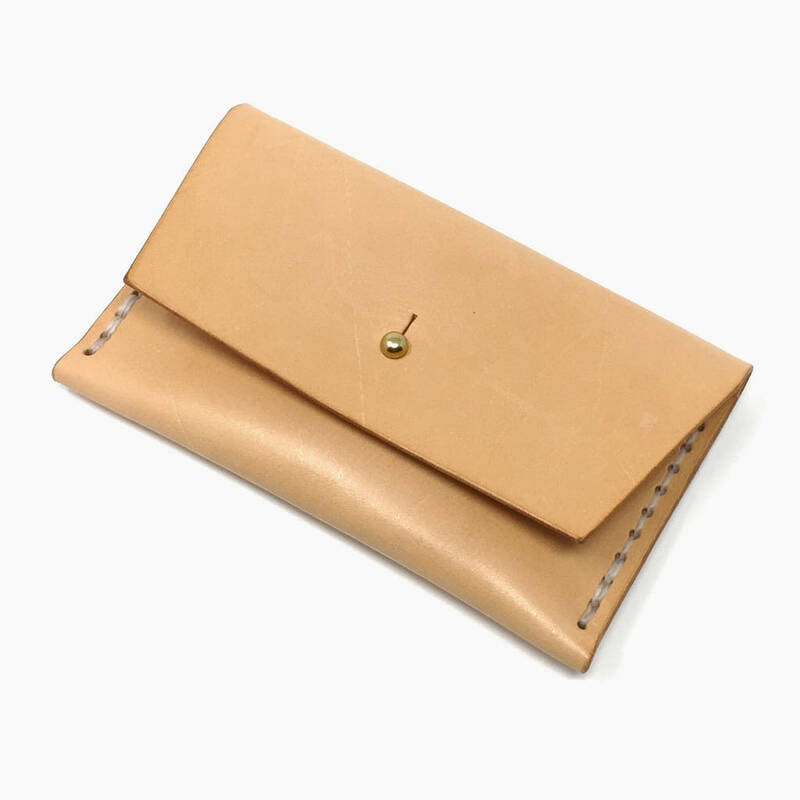 A single pocket handmade leather purse designed to hold your daily essentials when you don't want to carry your main purse. 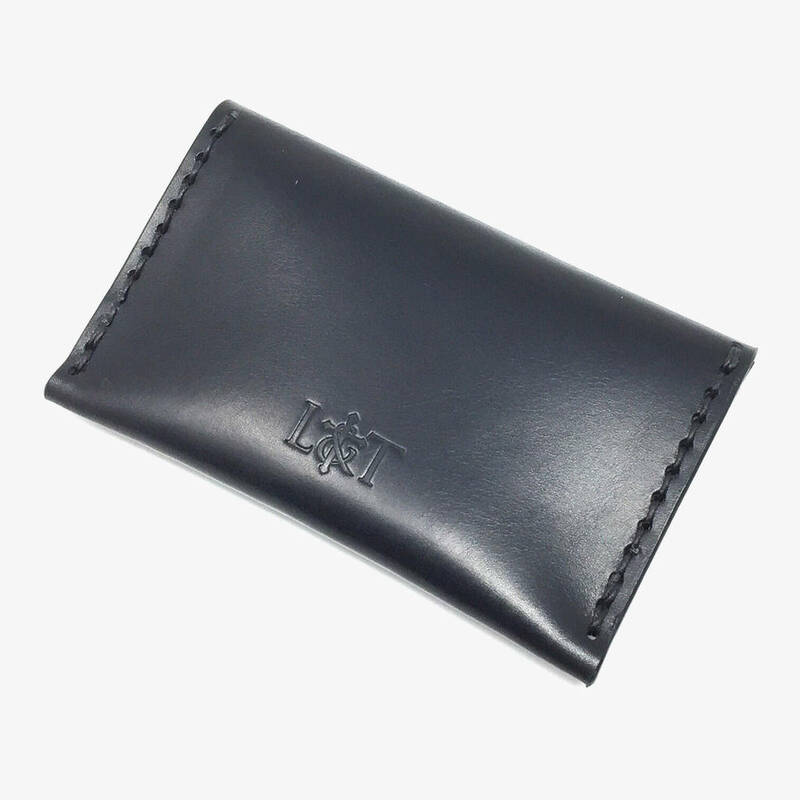 It's the perfect size for your going out bag and will hold your daily cards, coins, some folded cash and the day's receipts. The purse is made from one pieces of leather, stitched with waxed thread and held closed with a natural brass Sam Browne stud. The edges are burnished by hand and sealed with natural beeswax. Our leather purses come in a branded 100% recycled natural card gift box. 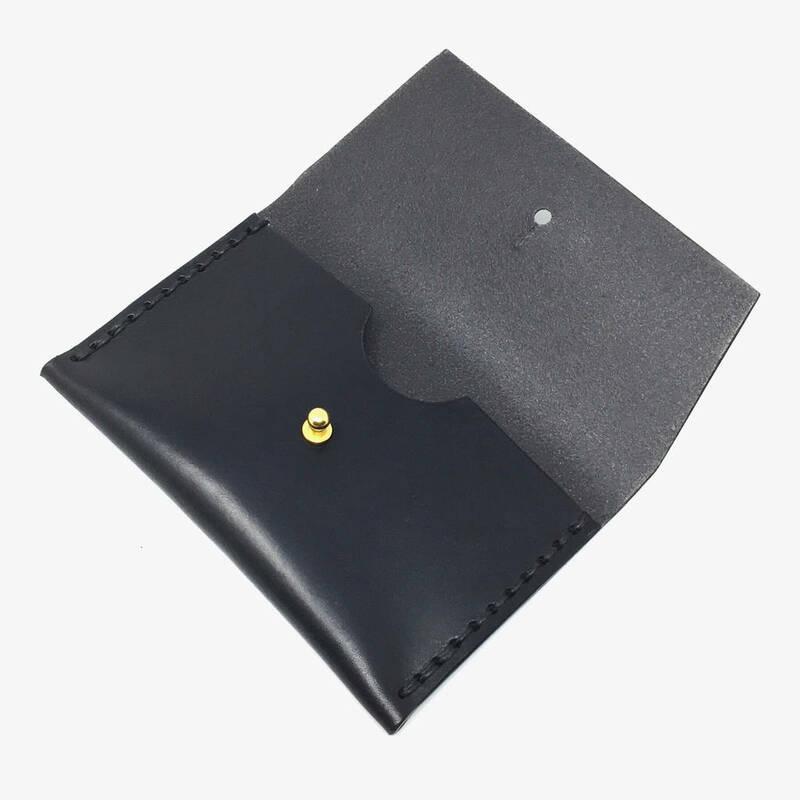 13cm wide x 8 cm high.